With the great interest in biochar’s use for carbon sequestration and as a soil amendment, the demand for research biochar from specific feedstocks has grown significantly. 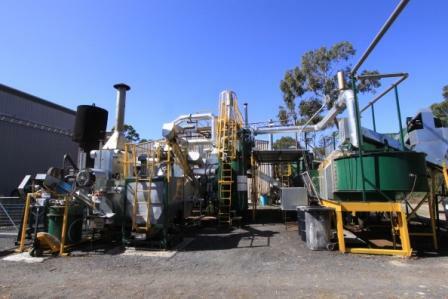 Based on the New South Wales (NSW) Central Coast, Australia, Pacific Pyrolysis (PacPyro) is collaborating with research institutions and projects to supply a source of slow pyrolysis biochar from multiple feedstocks and at the same time designing and building slow pyrolysis units. A large 2,000 square meter biochar trial currently underway in NSW at the “Koombahla” property. This three year project, supported by Holbrook Landcare, is looking at the influence of two different types of biochars—made from poultry manure and green waste—on canola crops. 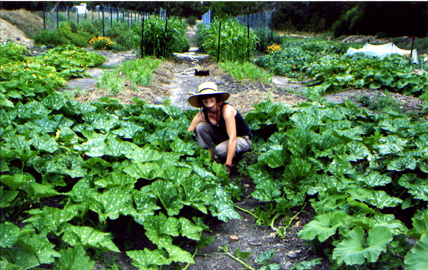 In addition to research-oriented trials, biochar donated to the Diggers Organic Gardening Club for use at the Herronswood Gardens and to the Lismore Community Gardens have shown good anecdotal results as reported by the local community. To get this technology to market, PacPyro is currently working with a number of parties towards the design and build of commercial pyrolysis plants. These parties include local government bodies, private sector organizations, and transnational firms. The company hopes that the implementation of these projects will distribute their product to a wide marketplace—focusing on premium soil and potting mixes and horticultural applications. For more information on Pacific Pyrolysis, please see: http://pacificpyrolysis.com. 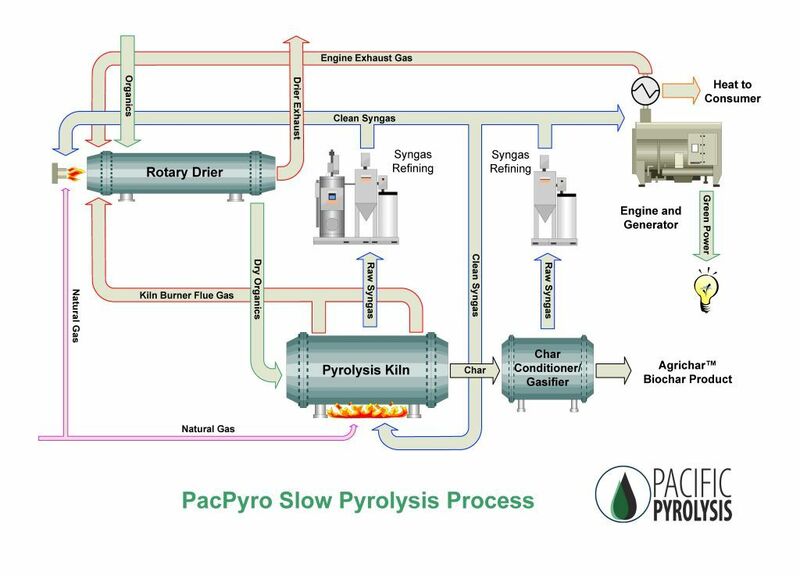 PacPyro Slow Pyrolysis Diagram, courtesy of PacPyro. Pilot facility to produce research grade biochar, courtesy of PacPyro. Herronswood Gardens Biochar Demonstration Garden uses biochar donated by PacPyro for local community trials, courtesy of Herronswood Garden group.